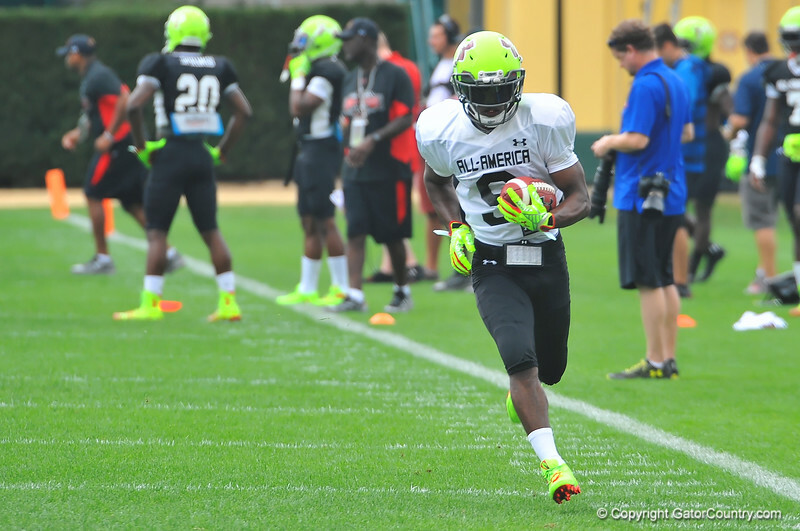 Notre Dame commit WR Isaiah McKenzie sprints along the sideline after making a catch. Under Armour All America Football Bowl Practice Day 1. Orlando,FL. December 29, 2013. Gator Country photo by David Bowie.